It can be hard to find a new car or truck online. One of the most difficult things is making sure you’re getting the best deal. That’s because a lot goes into the price of a car. Every car leads a different life. That means that two cars of the same make, model, and year can be very different. There are many factors that help set the price of a car. They include the type of car, the miles, accident history, where it’s located, the number of owners, and more. That means it’s hard to tell if you’re getting a good deal. It’s even more difficult to tell if you’re getting a good deal when you buy online. NADA Guides seeks to solve these problems. NADA Guides is a site that offers accurate pricing information on all kinds of vehicles. They don’t only cover cars and trucks. They also provide pricing for boats, RV’s, motorcycles, and more. The NADA is the National Automotive Dealer’s Association. They know a thing or two about buying and selling cars. Their website offers a host of features that car buyers will find helpful. They also act as an authoritative source to accurately determine the value of a specific vehicle. They take the many different factors that go into pricing a vehicle into account. They use these factors to come up with the fair market value of the vehicle. Because of this, there are several ways that car buyers can use their website. We’ll go over the key features of the website. You should use this to compare them to other similar services. That way, you can make sure your car buying experience is as easy and pain-free as possible. For a versus comparison for NADA blue book values visit here. The nice thing about nadaguides is that they know what they do well and focus on it. You can get other services on their site. But most of their features are focused on delivering accurate market prices for different kinds of vehicles. The first thing that NADA Guides has going for them is that they are the largest publisher of vehicle information and tools for new and used vehicles. No one has access to the same amount of information that NADA Guides does. The company is backed by J.D. Power, a well-known consumer pricing and evaluation group. Lots of major groups use their services. That includes different government agencies, insurance companies, car dealerships, car makers, rental agencies, credit unions, banks, and more. This shows that they know what they’re doing. As a result, customers can feel good that the price the NADA lists is what a vehicle is worth. That means you can be sure that you’re getting the best deal possible on your new vehicle. Another feature of the site is that they have access to all the different services you need if you’re looking to buy or sell a car. That includes ways to search for financing as well as car insurance. They also have previews of new cars that aren’t on the market yet. You can also search different sources for pricing on specific vehicles. NADA Guides realizes that many people only use the internet as part of their car-buying experience. Many people use it to search for cars available at local dealers. Then they go and check the cars out in person. That makes sense, it gets rid of one of the most tedious parts of shopping for a car at a dealership: walking among seemingly endless rows of cars looking for the one for you. NADA Guides provides a great resource for these people. It connects you with local dealerships. It also helps you get a quote from those dealerships. That means you can start making decisions about where to go much faster. As a result, you’ll spend less time shopping for a car and more time enjoying your new car. As a result, buyers can make nadaguides a one stop shop. This saves a tremendous amount of time and energy looking around the web for these services. The site is also organized in an easy-to-use way. They let users shop by body style or by other qualifications. That means you can start with a broader search to find the car of your dreams. After all, many people don’t keep up with every new vehicle that comes out. That means they might not know about a car or truck that would be perfect for them. By far the best feature of nadaguides is the research and compare options. This feature lets you check out different cars. You can compare them side-by-side to get the best car for you. The comparisons are well organized. They show a chart with all the different features you’d want to know about with a car. That includes things like the MSRP, the MPG, the type of engine and transmission, and more. They offer a good series of pictures to compare different cars to each other. This gives you the ability to see how each option looks from the outside. Let’s face it, the way a car looks is important. It says a lot about who you are as a person. It also communicates a lot about what you want to say about yourself. That means finding the car that has the look you want is an important part of finding the best car. However, you spend more time in your car than you spend looking at it. NADA Guides offers comparison pictures of the inside of the car as well. They offer lots of different angles. This lets you check out the visibility while driving. It also lets you see how the different instruments and buttons are arranged. The comparisons also cover the performance and mechanical aspects of the car. That includes everything from what kind of gas it needs to how big the tank is and what kind of horse power and torque the car produces. You also get to compare safety features when you compare using NADA guides. You can learn about the different airbags and other safety features each car has. This includes things like traction control, emergency service, and anti-theft systems. As the result of all of this, you’ll be hard pressed to find a site that has more detailed information on different cars and vehicles than NADA Guides. Also, the way that they display the information for comparison is easy to use. That means you won’t get a headache trying to understand what the difference is between the options you’re considering. Finally, NADA Guides offers information on all kinds of cars and vehicles. Their database covers every car that’s been produced since 1924. It also includes all kinds of information on motorcycles, RV’s, boats, and other vehicles. As a result, you can use NADA Guides for any kind of vehicle purchase. This also sets them apart from some of the other online car buying sites we’ve looked at. Many of these sites only sell relatively modern cars. That means they don’t have information on classic or older cars. But that doesn’t mean that people with older or classic cars don’t need valuations. It also doesn’t mean that they’ll never want to trade in their car or sell it. Therefore, this is an under-served market that NADA Guides does a lot to help out. Unlike some of the other companies we’ve looked at, NADAGuides doesn’t have a lot of customer reviews online. We’ll share the information we got. It includes their Better Business Bureau evaluations. We’ve also got some other information to note from other sources. NADAGuides has an A+ Rating from the BBB. They aren’t BBB accredited though. But this might be because they’re a subsidiary of a much larger company, J.D. Power. There is only one customer review on their BBB profile. The review is marked as negative. However, it gives the company a 3.68 out of 5 score. That’s actually a pretty good sign for NADA Guides. Most people don’t go out of their way to write good reviews. That’s especially true for services like online car price comparison tools. However, people will go to great lengths to let others know when they’ve had a bad experience. Therefore, the fact that there’s only one negative review with the BBB, and it’s not that negative, speaks well for them. The fact that they get an A+ Rating from the BBB also speaks well. That means they’re honest in their advertising. 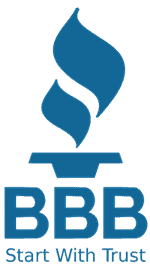 It also means that they abide by the terms of their agreements, those terms are clear and understandable, and that they respond to customer complaints in a way that satisfies the BBB’s high standards. Most of the other information we found on NADA guides comes from various industry sources and news publications. These tend to list new features that the organization has added through the years. There was one other type of review that was common. That’s the question of what pricing tool car dealerships use the most. The NADA Guide was cited in many articles as one of the most commonly used sources for automotive pricing. That makes it one of the most authoritative places to go to determine the price of a vehicle. These reviews and articles quoted many different car dealerships and dealership operators. They also quoted lots of people who work in industries that use vehicle pricing guides. There were very few comments that didn’t mention NADA Guides. Even if companies used other sources as well, almost all of them include NADA Guides as one of the primary sources they consult to confirm pricing. This was even more common amongst dealers that operated with classic and antique cars and vehicles. NADA Guides are a great place to go to get a fair comparison and pricing for different cars. You can use the site in many ways. You can use it to make sure you’re getting a fair value for your trade in. You can use it to ensure that you’re paying a fair price for your next vehicle. You can also use it to set a price for a private car sale. When it comes to pricing cars and vehicles, nadaguides has several features that set it apart from the rest of the options. We especially liked the fact that they have records for car prices going back to the 1920’s. That means that they can understand and analyze multiple different trends in car prices. Buying a car is a big decision. You don’t want to pay too much. You also don’t want to buy a car that’s going to lose a bunch of value. The tools that NADA guides offers help you ensure that you’re getting a square deal the next time you buy or sell your car. We also liked the incredible level of detail that nadaguides provides for comparison. Very few other sites offer the option to see as many technical and specific details about a car as this company does. That means they’re a good choice for people who know a lot about cars and are very choosy with what they’re looking for. Finally, nadaguides can function as a one-stop-shop for everything you need to buy a new car. You can get financing, insurance offers, and more. This is very helpful and saves time. But you can find these tools in other places. Moreover, these tools seem to focus on taking you to services from paid partners. That means you might get a better deal checking for financing or insurance yourself. Use NADA Guides for what it’s intended. Make sure you’re getting a fair price for your car. Whether you’re selling or buying, this site is one of the best places to go to find out how much a particular vehicle is worth. This will let you rest easy, knowing that you got the price you deserve for your next car or truck. NADA provides pricing values to reflect the current market on a range of vehicles. We compiled your frequently asked questions in this section. There are many different NADA values to look at when accessing the value of your vehicle. This section of the FAQ’s will answer questions to help understand how the values work and which ones to use. A NADA value is what a person could expect to reasonably pay for a vehicle at a dealership. The Value is meant to help someone perform their own evaluation of a vehicles value. What is the NADA value of my car? The NADA value of your car is what most people would buy it for at a dealership. You can find the exact NADA value of your car at nadaguides.com. What is NADA book value? The NADA value is a price placed on your vehicle that reflects what the current market is willing to pay for it. The value has been used for many years and is reliable. How to find NADA value? The NADA value is not difficult to find. It is posted online on the NADA website or can be found on NADA guide books for frequent reference. What does NADA retail value mean? The NADA retail value is the price a vehicle is being sold at a dealership. There is also a clean retail value that shows the price of a car when it is in clean condition and good mileage. Which NADA value is used for a loan? You can use the NADA retail value as a guideline when negotiating for a vehicle loan. You should never pay more the NADA retail value. What is NADA clean trade value? The NADA clean trade value is the trade-in price most places will pay for the used vehicle when it is in clean condition and mileage falling within the NADA assumed mileage range. How to calculate the NADA value? NADA uses different factors and data to find the value, some of them are actual wholesale transactions, retail transactions, as well as pricing information from autotrader.com. What does suggested list price means on the NADA boat value guide? The suggested list price on the NADA boat value guide is the approximate price of the boat when it is brand new and not used. What NADA value do banks use? The banks can use multiple values when providing a loan. If it is a brand-new car, they may use the MSRP value if it is a used car, they may use the clean retail value. What is difference between NADA and base vehicle value? The base vehicle price is the manufacturer’s suggested retail price, while the NADA value is the price most commonly paid for that vehicle. What NADA value is close to wholesale? The NADA value that is comparable to wholesale would be the invoice value. The invoice price is the dealership’s cost for a vehicle from a manufacturer. How does NADA calculate the value of a new boat engine? NADA uses the MSRP to calculate the value if it is brand new. Other factors it can us are, engine hours, overall condition including interior and exterior, and fresh or salt water usage. What does average retail on NADA guide mean? Average retail on the NADA guide is the price that you should expect to pay at a dealership for a vehicle that is in good condition on the inside and out. What is the NADA value rating stars? NADA uses different prices to show the value of a vehicle, such as the Invoice value, MSRP value, Rough Trade-In value, Average Trade-In value, Clean Trade-In value, Clean Retail value. NADA guide is the largest publisher of market-reflective vehicle pricing and information. You can find the prices and information on their website. Which is better Kelley Blue Book or NADA? Kelley Blue Book and NADA are both reliable sources of vehicle pricing and value. They can both be used in tandem with your judgement when buying or selling vehicles. How to compute RV value using NADA guide? RV value can be found in the same way as other vehicles, by searching for the specific make and model on the NADA website online. Which number on NADA is considered fair market value? Clean retail would be considered fair market value for a car. Average retail would be considered the fair market value for boats or motorcycles. What NADA value can I expect for my RV trade? NADA does not provide trade-in values for RVs. It does have an average retail and low retail value to help you judge the market value of your RV. Why can't I get a straight answer for the value of my car from NADA? It could be for a variety of reasons. NADA values vehicles based on auction and retail sales transactions, so if it is special edition vehicle there may not be enough data in the system due to a small number of cars produced. What is the private party value of my car NADA? The private party value of a used car will be the same as the clean retail value for NADA. However, that is only is it is in clean condition. There are other price listings that attempt to show fair market value for vehicles just like NADA does. The following are questions and answers about how NADA compares to similar companies. Why are Kelley Blue Book and NADA so different? The Kelley Blue Book value and NADA value are different because they use different algorithms and methods to come to the value of vehicles. Which is more accurate NADA or Kelley Blue Book? NADA and Kelley Blue Book are both accurate and reliable. They are both just estimates of what can be expected it is possible to negotiate better deals. Why is Kelley Blue Book lower than NADA? The Kelley Blue Book values are sometimes lower than the NADA values since the NADA algorithm calls for all trade-ins to be in very clean condition. What do dealers use NADA or Kelly Blue Book? Dealers can use both Kelly Blue Book and NADA values depending on their preference. However, NADA is more commonly used by dealers. How overpriced is NADA book? NADA is meant to provide a reasonable perspective of the value of a vehicle but is only an estimate and can be high or low at times. Why is NADA value higher than KBB? The NADA value can be higher because of the differences in their algorithm. The NADA algorithm uses actual retail sales data by its member car dealers. Why is NADA trade in value higher than KBB? The NADA trade-in value is usually higher than other listing because the algorithm it uses calls for trade-ins to be in very clean condition. How does the Black Book compare to the NADA collectable guide? The NADA collectible guide is available to the general public and use transactional data and market data. Black book is only available to industry qualified user through subscription. When to use KBB vs NADA guide? The Kelly Blue Book and NADA guide values should be used in unison to come to the most accurate market value of a vehicle. What is the typical loan value for a manufactured home versus the NADA value? Banks and lenders use the NADA value when giving out loans for vehicles including manufactured homes, so the value should be really similar. NADA can have many different values and has many options when choosing vehicles on the website, this section explains how to read the guide on how to find the values. How to use NADA guide? The NADA guide can be accessed online at their website. You can search for vehicle prices by manufacturer or body style. How to read NADA guide? The most important values when buying a vehicle would be the clean retail value as it shows the price expected to pay at a dealership and the clean and average trade-in value, they show the price it should be sold at. How to find a car price through NADA guide? You can find the car price, along with other vehicle prices, at the NADA website www.nadaguides.com. Just answer the questions to find the specific car you’re looking for. How to choose twin engines on NADA value? Once you have chosen your vehicle from the NADA guides website you can choose which version of the vehicle to select. Choose the one with twin engines. How do I get the NADA book every month? You can get a NADA book every month by buying it off the NIADA website. The 2018 Used Car Guide comes with 12 issues, one for each month. How to run a value report on NADA? To get a value report on your vehicle first visit the website www.nadaguides.com. From their search for your vehicle by the categories of body style or manufacturer. How to get a NADA price guide book? You can get a NADA price guide book by ordering one online for the NADA website. However, you don’t need one if you’re only looking up a few prices as they are online. How to determine a used car offer based on the NADA guide? The clean retail value for NADA is what you would pay for a car at a reasonable dealership. The average trade-in is what they would pay you for a vehicle is average condition. Where to buy NADA book? You can buy a NADA guidebook online at the NADA website. To start the process, click on the Product Store at the top of any page. This section has questions on different subjects within it such as, what is NADA book for sailboats, how good is NADA guide, and what it cost to subscribe to the NADA book. When an insurance company totals your car which do, they use Kelly Blue Book or NADA? An insurance company can use their own formulas and algorithms to calculate the value of the car or they may use KBB or NADA. The system insurance companies use varies. What is NADA book for sailboats? The NADA book for sailboats is a comprehensive vehicle listing that publishes blue-book like specifications for your sailboats. What does finance up to 100 percent of NADA retail value mean? That means that they will loan up to the full value of the car according the NADA retail value number, meaning there will be no down payment required for the loan. How good is NADA guide? NADA guide is good for being used as reference when estimating the value of a vehicle when either trying to sell, buy or apply for a loan. What do lenders look at on the NADA book? Lenders and banks look at the MSRP, clean retail, low retail, average retail, and high retail NADA values when accessing giving a loan on a vehicle. Why don't auto dealers use NADA guide? Auto dealers that are a part of NADA do use the NADA guide when pricing and buying used cars. Some dealers use other listings such as KBB, that is a matter of preference. What does it cost to subscribe to NADA auto book? The NADA auto book subscription cost $125.00 for an annual subscription, plus $12 of shipping fees. The subscription price is only available for NIADA members.